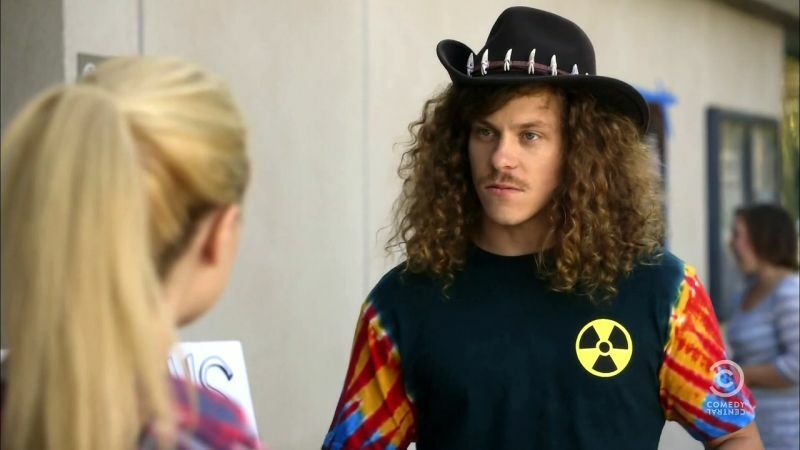 The Hollywood Reporter has brought word that the Hulu comedy pilot Woke starring Lamorne Morris (New Girl) has added Blake Anderson (Workaholics) to the cast. Anderson will play a friend of Morris’ lead character. The pilot, written by and based on the life of K Chronicles cartoonist Keith Wright, follows on-the-brink-of-success cartoonist Keef (Morris), whose mild-mannered cartoons become sharper after a run-in with the police and finds himself in an eternal state of being woke, struggling not to derail his life and career as animation begins to creep into his real world. Anderson, who is known for being one of the lead trio on the Comedy Central hit Workaholics, has signed on to star as Gunther, one of Keef’s college friends who always holds on a manic energy level and is coming up with crazy schemes, including an energy drink to snort, and though he lacks formal education and doesn’t plan out his schemes with details, everything always works out for him. Knight will be co-writing the pilot with Barbershop‘s Marshall Todd, while Will Gluck (Peter Rabbit) and Richie Schwartz will executive produce through their production banner Olive Bridge Entertainment alongside Kate Schumaecker , John Will (Band of Robbers) and Eric Christian Olsen (NCIS: Los Angeles). Morris, who broke out with success on the hit Fox sitcom New Girl for seven seasons, was most recently seen in the acclaimed dark comedy Game Night alongside Jason Bateman (Ozark) and Rachel McAdams (Disobedience) and the well-received Netflix holiday comedy The Christmas Chronicles alongside Kurt Russell (The Fate of the Furious). He will next be seen in the untitled Danny Boyle (Trust)/Universal Pictures musical comedy, which is slated for a June 28 release, as well as superhero film Bloodshot alongside Vin Diesel (Guardians of the Galaxy Vol. 2), which is slated for a February 21, 2020 release. Anderson, who co-created and starred on the hit Comedy Central series Workaholics for seven seasons, has continued working with his former co-stars Adam DeVine (Isn’t It Romantic) and Anders Holm (Champions), including starring in the Netflix action comedy Game Over, Man!.